My family was addicted to Downton Abbey, my mom and dad would come down and we would watch every single episode. My hubby knew not to make any plans on the days it was on! And then the show ended!! Since then we have been looking for another show that we could watch together. Something that felt old world and had a story line we could all fall in love with. And we found just that with Home Fires. 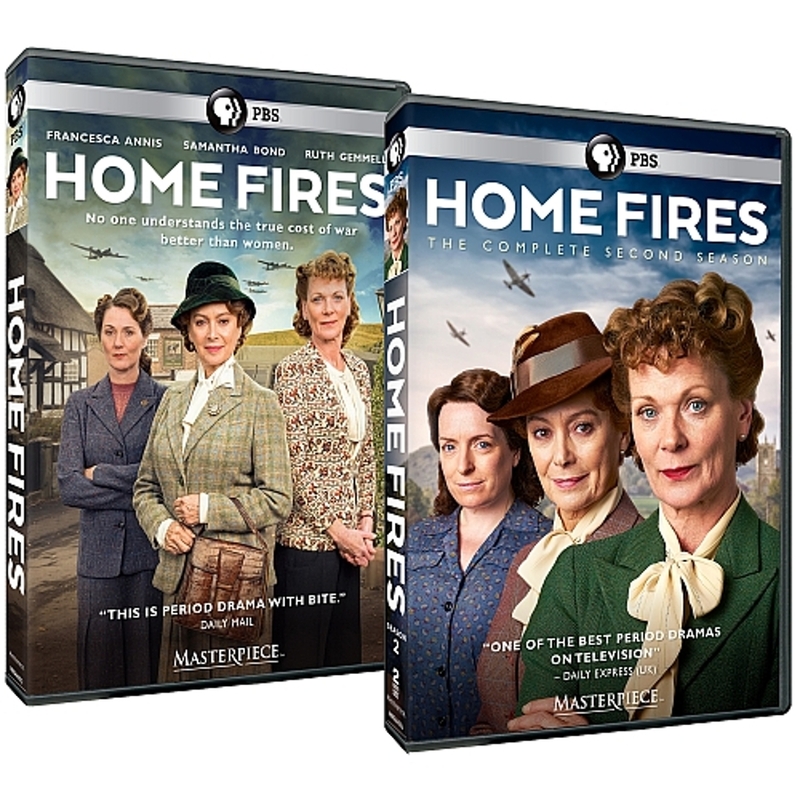 And to really top it off some of our favorite Downton Abbey characters are in this series!! 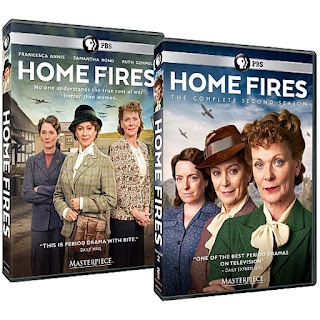 Masterpiece: Home Fires Home Fires follows a group of inspirational women in a rural English community where the shadow of World War II is casting a dark cloud over their lives. The isolated village couldn't feel further away from the impending bloodshed and battlefields and yet it is not immune from the effects of war. As the conflict takes hold, and separates the women from their husbands, fathers, sons and brothers, the women find themselves under increasing and extraordinary pressures in a rapidly fragmenting world. Inspired by the book Jambusters, Julie Summers' enthralling history of the Women's Institute in WWII, the six-part series stars acclaimed actresses Samantha Bond (Downton Abbey) and Francesca Annis (Reckless) as bitter rivals, as well as Clare Calbraith (Downton Abbey), Ruth Gemmell (Fever Pitch), Claire Rushbrook (Whitechapel), and Ed Stoppard (Upstairs, Downstairs).